Our Customer’s Art Has Been Made Into A Beautiful Stamp Collection – Caffé Etc. Here at Caffé Etc., we pride ourselves in having customers who become our friends. Some of the most artistic, talented, and innovative Hollywood minds come to the cafe to think, work, discuss their craft, or simply relax as they try to unwind before going home. During their stay, they often talk to us. Sharing personal stories or simply talking about current issues with our customers is something we love to do—and they love it too! Recently, one of our beloved customers shared an incredible story about his work with us, and we decided to blog about it. Michael Doret had a goal: see his art as part of a USPS stamp collection. And guess what? It happened! Back in 2002, Doret was contacted by Richard Sheaff, Citizens Stamp Advisory Committee’s art director and design consultant. 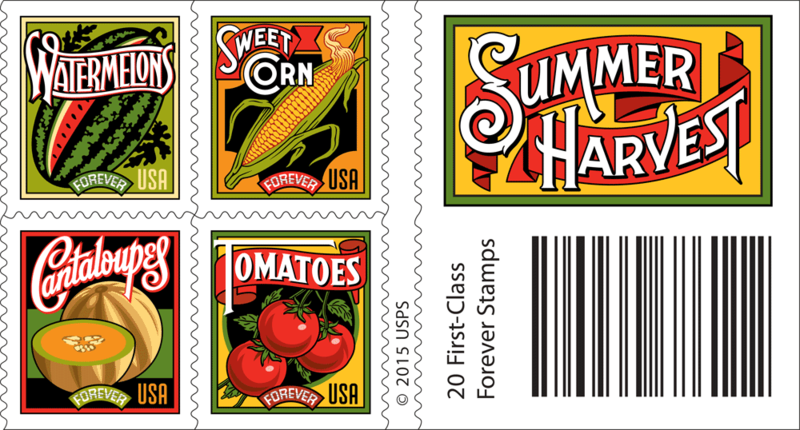 At the time, Sheaff asked Doret to work on stamps that celebrated American fruits and vegetables. The set would come with six different designs. Some of the finalists included sweet corn, pineapple, grape lemon, cabbage, and persimmon. Doret and Sheaff decided to reference vintage seed packets, fruit crate labels, or catalogs. But instead of looking into mimicking the design, Doret decided to simply assimilate the overall attitude of the vintage-style graphics while representing them in a unique form. The work was performed, but the stamps were never produced. But while the project did not see the light of day for years—even after all the hard work he put into it—Studio A’s art director Antonio Alcalá contacted Doret to discuss another stamp project. In May of 2012, Doret and Alcalá agreed to use Doret’s original work for the new project, a decision that pleased the artist. Shortly after Alcalá presented Doret’s old work to the ones in charge, the artist was finally contacted again. The second time around, the answer was positive! The project had finally paid off, and Doret would see his beautiful designs on a stamp collection after all! After certain changes, the artist produced five final designs. 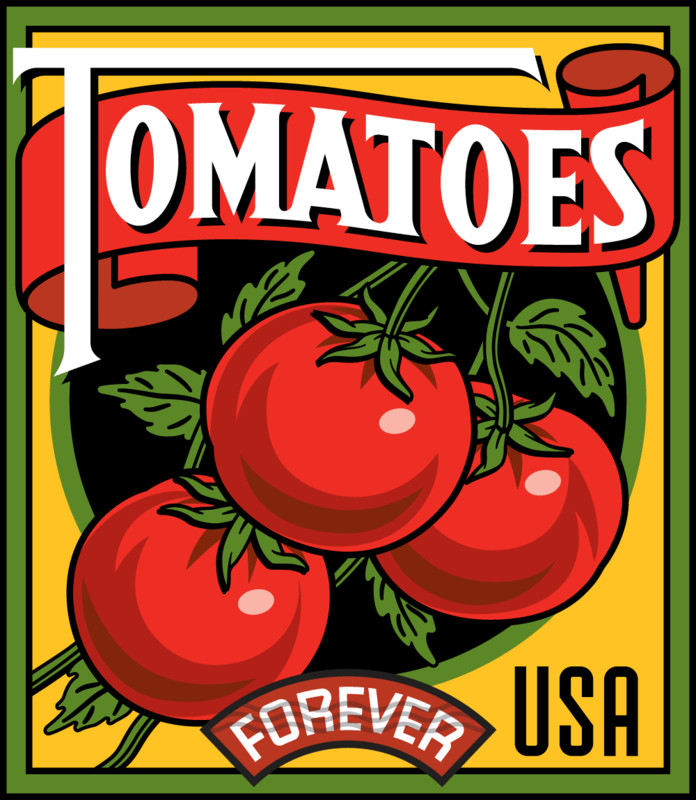 Only the old sweet corn design stayed mostly intact, others he developed for the Studio A included designs of cantaloupes, squashes, tomatoes, and watermelons. Doret wrote in his blog that when he started working on the new project, he wanted to shake things up. So, are you ready for the beautiful designs Doret created? Check them out below and buy them here. #CahuengaCrossing Is Here, Have You Stopped By? Caffé Etc. is one of our favorite things about Hollywood. Seeing VIviana’s smiling face when we walk in, the great coffee and wholesome food make it all worthwhile!